At many intersections throughout the city, pedestrians who have the walk signal still have to contend with vehicles turning left or right. But at some of Manhattan’s busiest crossings, the city may bring back the “Barnes Dance” system, which stops traffic in all directions, allowing pedestrians to cross to any corner, including diagonally. As Gothamist reports, yesterday the City Council unanimously passed legislation that requires the Department of Transportation to conduct a feasibility study about implementing these systems at 25 of the most high-crash intersections. The crossing system is named after its creator, traffic engineer Henry Barnes, who served as NYC traffic commissioner in the ’60s (he’d previously served the same role in Flint, Michigan, Denver, and Baltimore). Though the system, alternately known as an “exclusive pedestrian interval” or a “pedestrian scramble,” was first implemented in Kansas City and Vancouver in the late 1940s, Barnes popularized it in the U.S. during his time in Denver from 1947 to 1953. Apparently, people were so happy when the new systems were installed that they took to dancing in the streets–and “Barnes Dance” was born. 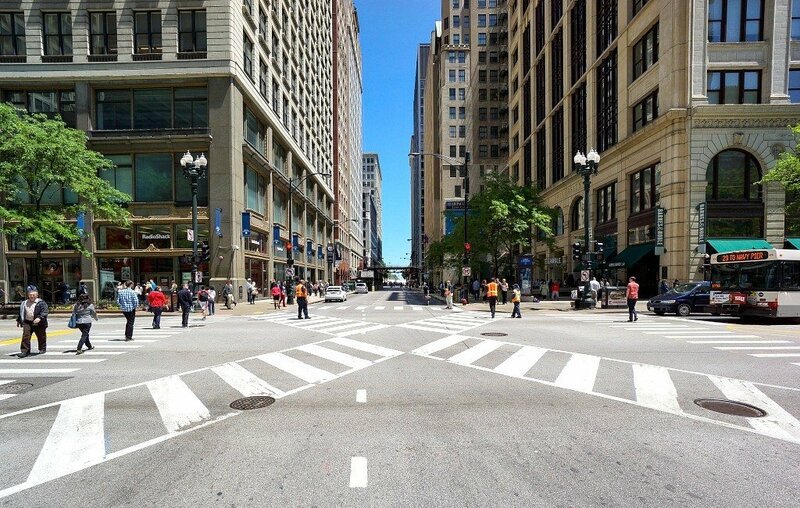 Barnes once said, “In this business there are very few problems that can’t be solved with some yellow paint and a little bit of common sense.” Along those lines, his system stops all traffic at an intersection for a given time, and when traffic proceeds, pedestrians are stopped on all sides. When he came to NYC, Barnes got a test crossing up and running almost immediately at the intersection of Vanderbilt Avenue and East 42nd Street near Grand Central. Pedestrians were able to cross for 23 seconds of each 90-second light cycle, explained Untapped. In the ’60s, however, the Barnes Dance fell out of favor as the Robert Moses era of city planning favored cars over pedestrians (Barnes and Moses did not get along). ABC7 reports that 25 percent of pedestrian deaths are caused by drivers making a turn. But a 2012 report from City College found that in places where Barnes Dance signals were present, pedestrian crashes fell by 50 percent. The new bill, which supports the city’s Vision Zero plan of significantly reducing traffic fatalities, is being sponsored by Council members Helen Rosenthal, Mathieu Eugene and Ydanis Rodriguez. The feasibility study is due this August, at which time a final determination will be made.